PUPPIES COMING SOON......Reserve your English bulldog puppy today! We are advertising a litter for a friend. Click here to see these incredible puppies! New! Click HERE to view our color chart and pricing differences! We specialize in rare and standard colored English bulldog puppies, AKC registered......We our one of the top customer service breeders with nothing but quality! Click here to watch lilac pup video! KING LOUIS.... my all time favorite color, owned by Pol Theis, thanks for all the pics, Pol, he is amazing! 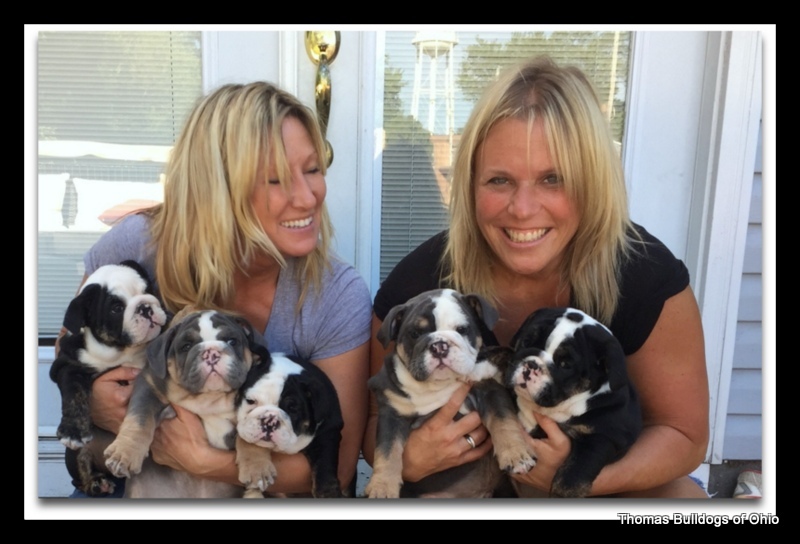 Thomas Bulldogs is a small, family breeder of outstanding AKC standard and rare colored English bulldogs in Midwest Ohio just north of Dayton and an hour west of Columbus. 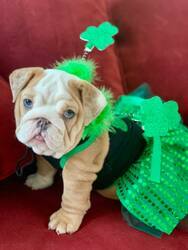 Our focus is to breed for healthy, happy, beautiful bulldog puppies with tons of personality! We genetically health test our lines. We have fallen in love with this breed, and we know you will, too, if you haven’t already! People tell us all the time, once you have an English Bulldog, you will never want anything else! They are a bowl full of laughs and will always put a smile on your face even when they are naughty! We are proud to be a part of bringing rare colors to the bulldog breed such as blue tri bulldogs, lilacs, and chocolate tris, and, of course, the cool black tri English bulldogs. The colors really stand out in a crowd. It is hard to walk down the street without getting stopped by curious people admiring these unique colored bulldogs. They truly are show stoppers! These pups are hand raised in my home with our family. A lot of knowledge, time, and expense goes into raising a healthy English bulldog litter, and many, many sleepless nights! They are very tricky to breed and raise, but well worth the effort and money! 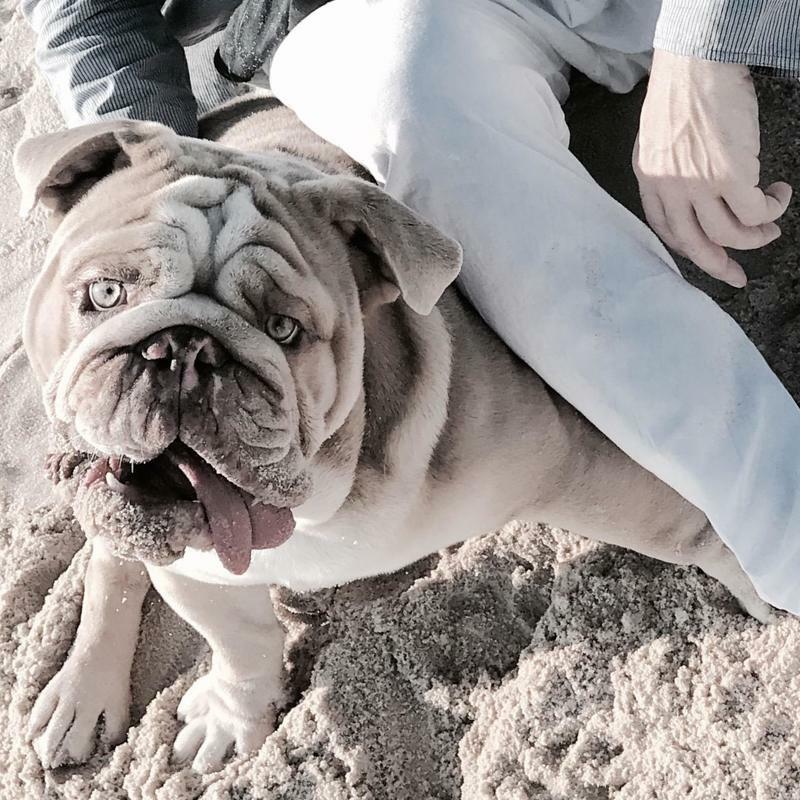 An English bulldog brings so much joy to your family! My bulldogs live in my home as family members. All the bully pups are extremely well-socialized with children and adults! Check out our available bulldog puppies' page to see our bulldog puppies for sale and reserve one now for your family! Feel free to call me anytime with questions regarding the purchase or care of a bulldog! 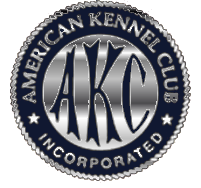 All puppies are AKC registered and come with a one-year health guarantee, several vet checks, current shots and worming and a puppy pack to start them in their new home with their family! Shipping is available worldwide with my private flight nanny. I offer a lifetime of support for my bully babies! Check out the Breedings page! ﻿Call or text anytime for info on puppies and I will respond to you ASAP!